No soldier in his right sense wastes his bullet on a dead body. Get that! Forget about the past… Your Future needs a wholesome hope from you to help it materialize. The merriment in your past is not worth your investment in your past… It’s your Future that deserves your whole being – your energy, your faith, your mood, your heart, your decision and even your smiles. Cheated, Dejected, Jilted, Lied against or Betrayed? …. You need to let it be a thing of the past, my dear. Watch the Video or Just read the Transcription below. When people walk away from you, let them walk. Don’t talk another person into staying with you, loving you, calling you, caring about you, coming to see you, staying with you, attached to u- LET IT GO. When people walk away from you let them walk: your destiny is never tied to anybody that left. People leave you because they are not joined to you, and if they are not joined to you, you can’t make them stay-LET THEM GO. And it doesn’t mean that they are bad people. It just means that their part in the story is over. And you’ve got to know when people’s part in your story is over, so that you don’t keep trying to raise the dead. You’ve got to know when it’s dead-LET IT GO. You’ve got to know when it’s over- LET IT GO. Stop begging people to stay-LET THEM GO. If you’re holding onto something that doesn’t belong to you, it was never intended for your life. Then you need to LET IT GO. If you’re holding unto past hurts and pains-LET IT GO. If someone can’t treat you right; if someone can’t love you back and if someone cannot see your worth- LET IT GO. If someone has angered you- LET IT GO. If you’re holding unto some thoughts of evil and revenge-LET IT GO. If you’re involved in a wrong relationship or addiction-LET IT GO. 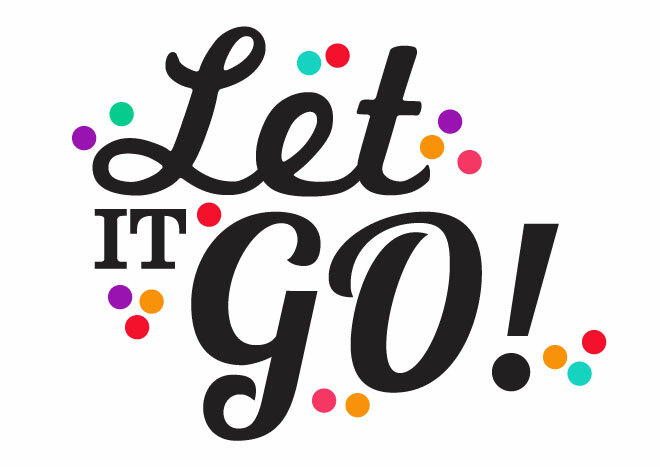 If you’re holding unto a job that no longer meets your needs or talents- LET IT GO. If you have bad attitude-LET IT GO. If you keep judging others to make yourself feel better- LET IT GO. If you’re struggling with the healing of a broken relationship- LET IT GO. If you keep trying to help someone who won’t even try to help themselves- LET IT GO. If you’re feeling depressed and stressed- LET IT GO. Let the past be the past; forget the former things- LET IT GO. And deal with the memories that come with them all. So, Can we let them go together? It can only get better… If you believe.